High Flux Horizontal Bead Mill_Anhui Bunkin Chemical Machinery Co.,LTD. WSDL Horizontal Bead Mill is a disc type of grinding mill, the mill use turbo static centrifugal material separation system, which is very suitable for high flow production capacity. This mill is widely for industrial coatings, general printing inks, and general pigment dispersions, calcium carbonate powder, liquids agrochemicals etc. 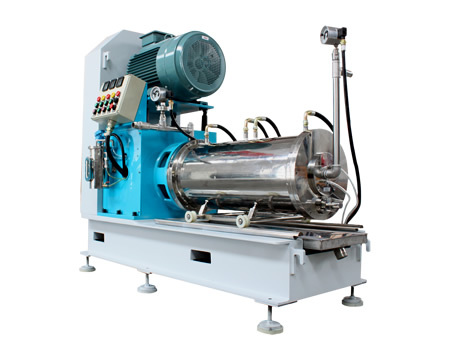 The delivery pump circulates the material from the tank to the grinding chamber. The disc drive the grinding beads and material to handle irregular movement and friction hardly, so the material can be reduce particle size after milling when they passed through the separation screen. 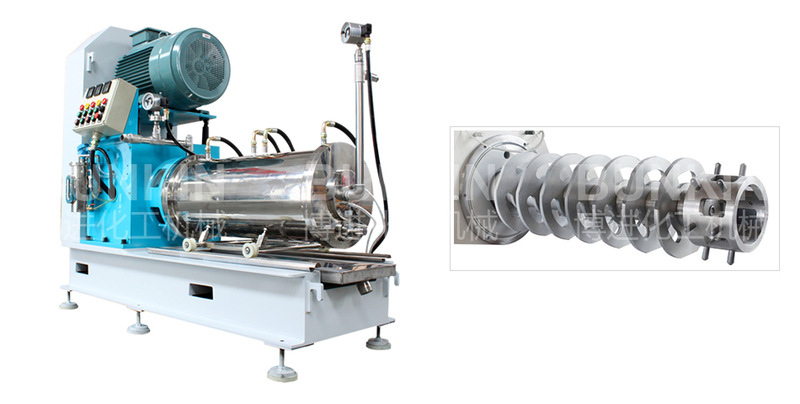 High flux technologies: turbo centrifugal separation devices, 0,3mm screen will be used, large static discharge area with high production output. Adopts integrated intelligent double mechanical seal, safe and reliable. Grinding material can be made of Stainless steel S304, Liner polyurethane material, hard alloy for inside chamber and a plenty of grinding discs to ensure long grinding life and less contamination. The double segmented water tunnels make more heat and energy exchange, so the cooling efficiency is better than ordinary types of mill.